They both have the same hair, down to the horseshoe baldness, and glasses. Radzinsky’s association with the Swan explains Leonard’s knowledge and obsession with the numbers. I believe Radzinsky will have something to do with creating the system of inputting the numbers to “save the world” we learned of in season two. Leonard was obviously disturbed and after all that Radzinsky has been through, who can blame him? 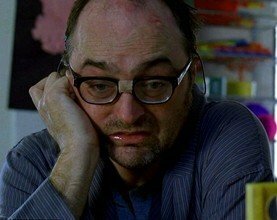 Desmond was a pretty disturbed character in early season two as well. Kelvin Inman says that Radzinsky blew his head off with a shotgun. Desmond believed Kelvin and look what that led him to do. Having Radzinsky be Leonard would allow the writers and producers to revisit the mental institution in Santa Rosa and tell a little more of the why Libby is there story. I was glad to see Radzinsky survive the season finale. For a second it really looked like Sawyer was going to off him, but in the end, it was obvious he made it. Sam’s wife told Hurley that he heard the numbers while stationed with his friend Leonard as members of the US military’in the south Pacific. We also know the US military had a presence on/near the island (the knife Ana Lucia has in season two and Jughead). Also, Sam may have been Dharma and been required to tell his wife he was in the military, especially if he is involved in testing nuclear devices. Sam’s wife also tells Hurley that Sam picked up the numbers monitoring long-wave radio transmissions (just like Danielle’s team). We are led to believe that Radzinsky drew the blast door map before Kelivin took over. The map seems to be of someone discovering and making notes about the Dharma hatches and DI in general, hardly something Radzinsky would do based on his position in the DI. I am really hoping we find that someone else takes his place. This would happen if Radzinsky goes crazy and is shipped off the island. Up until the season finale, I really believed Jack was going to take Radzinsky’s on-island place (pushing the button). The irony would just be too perfect. And it makes too much sense that Jack tries to fix everything after messing it up (ie getting everyone to go back to the island after getting them to leave). If the season finale’s ending scene allows some entity of Jack to stay in 1977, I really hope he becomes Radzinsky. I got hooked on LOST when I visited my aunt and uncle in Honolulu for New Year's in between seasons one and two. They were big LOST fans because of the filming locale. A week later I had watched the entire first season and was starving for more. let me be the first to say. i love this theory. however…. 2) HURLEY is with him at the mental institution. he would def remember someone at the incident. 2) memory loss due to the incident, or being around electromagnetism. I think Leonard does remember Hurley, but what can he do besides play Connect 4 with him? Like you said, I could see the age issue as a reason for the theory to be wrong, or just played down by the producers. Maybe I’m remembering wrong, but wasn’t a photo taken of Hurley and Leonard, but the photo only showed Hurley alone. ooo! I like this theory! I knew Radzinsky looked familiar! This totally makes sense….great work! Leonard has his own complete and detailed back story with Sam Toomey in 1988. Two US navy radiomen who intercepted the numbers being broadcast and went crazy. Radzinski is obviously on the island in 1977. In 1988 he is locked underground pushing the button and drawing his crazy (but interesting) map in invisible ink. Two different actors, albeit the resemblance is uncanny. they both play compulsive-obsessive characters. I am glad I saw those pictures back to back. Thanks. But no cigar. Thanks for reminding me about Sam; I meant to include this in my original post. Sam’s wife told Hurley that he heard the numbers while stationed with his friend Leonard as members of the US military…in the south Pacific. We also know the US military had a presence on/near the island (the knife Ana Lucia has in season two). Also, Sam may have been Dharma and been required to tell his wife he was in the military. About Radzinsky drawing the map-the map seems to be of someone discovering and making notes about the Dharma hatches, hardly something Radzinsky would do based on his position in the DI. Up until the season finale, I really believed Jack was going to take Radzinsky’s on-island place (pushing the button) when Radzinsky went crazy and was shipped off the island. The irony would just be too perfect. And it makes too much sense that Jack tries to fix everything after messing it up (ie getting everyone to go back to the island after getting them to leave). And about the producers saying Libby’s story is shut, I thought they just said that the story would not be told through Libby’s character. I understood that they said that if Libby’s story was to be told, it would have to be through another characters story-enter Leonard. 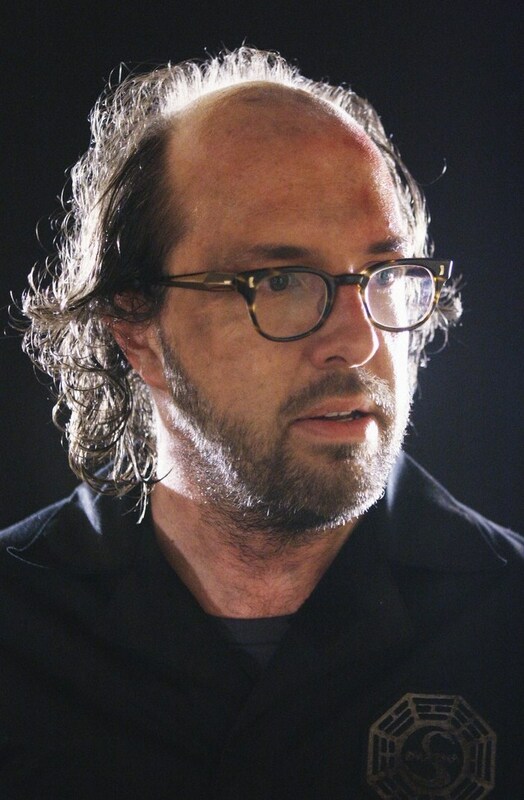 According to Lostpedia, the actor who played Sam Toomey was Ron Bottita, and the actor who plays Stuart Radzinsky is Eric Lange. Although they may share a striking resemblance, I do not think they are the same person, IMO. Since we’re talking about Lenny… I’ve been thinking about what he said to Hurley in the Numbers ep. He told Hurley that ‘you shouldn’t have used the numbers. You’ve opened the Box!” At the time, obviously just seems like a throwaway line (like pandoras box, whatever). Danielle says that it was the numbers on a transmission that brought her to the island, obviously the same transmission that Lenny and Toomey heard. If the bomb did go off, nobody would remember nobody, which means Hurley wouldnt remember Leanord/Radzinksy anyway. Hurley isnt crazy, Radzinksy is. i like it! it could be him! He may have travelled forward in time after the explosion! Thanks to your clarification and carpie 21’s comment, I can now see that there is merit to your idea! The part about ‘the box’ is quite persuasive! Great point about “opening the box.” I had forgotten all about that. That leaves some very interesting possibilities. No need to apologize. One of the reasons I post theories is to get input from others besides myself and my wife (who had a big hand in the Leonard is Radzinsky theory). In a way, I kind of want them to be disproved. I think you are absolutely right! HOW AWESOME! It’s Kind of unlikely that the two would look so similar without a purpose..i mean come on this is lost…everyone is connected! A) Kelvin is not the most honest man in the world. He tricked Sayid into torturing his own people when he himself very well could have done it, and he lied to Desmond about going outside the hatch and working on the Elizabeth (Des’ boat). B) -And this is the one I would prefer- Radzinsky goes nuts some time after the incident and is shipped off of the island. However, someone takes his place and his name. Kelvin then could have told Desmond the truth about the head blowing thing without it actually being Radzinsky himself. Good theory, well written, but impossible. Radzinsky killed himself in the hatch leaving Kelvin Inman all alone until Desmond showed up. This is revealed in the finale of season 2 Live Together Die Alone. This event would have been not only before Hurley won the lottery, but would make it impossible for Radzinsky to be on the mainland. He likely spent his whole life after the incident in the hatch.